Ghaziabad is a city located in the northern state of Uttar Pradesh. It is called as the ‘Gateway to UP’ as it acts as transit point between Uttar Pradesh and Delhi. It is considered as a National Capital Region due to its proximity to New Delhi. The city lies on the banks of Hindon River. You can visit the Binsar Wildlife Sanctuary, Drizzling Land Water and Amusement Park, Swarn Jayanti Park, Iskon Temple and many other historic places in the city. This city has a lot of small and medium scale industries and trading outlets. The city has seen major expansion lately and the property development is on the rise. With increasing lifestyle demands and sudden cash requirement, the necessity for personal loan in Ghaziabad is on the rise too. With busy lifestyle, getting a loan from traditional banks seems very inconvenient. The lengthy forms and the number of times one has to visit the bank is time consuming. If you are looking for a personal loan in Ghaziabad, you can go for cash loan apps. These online platforms provide quick loans with minimal documentation. You don’t have to visit them or submit any physical documents. The entire process can be performed on your smartphone within 15 to 20 minutes. These loans are unsecured so you don’t have to showcase any asset ownership. You can get instant financing for all your needs. People avail personal loan in Ghaziabad for home repair expenses, education expenses, for festival shopping, for a vacation, to buy a new car or phone, to pay medical expenses, to cover any sudden events, balance transfer, for top up or debt consolidation. 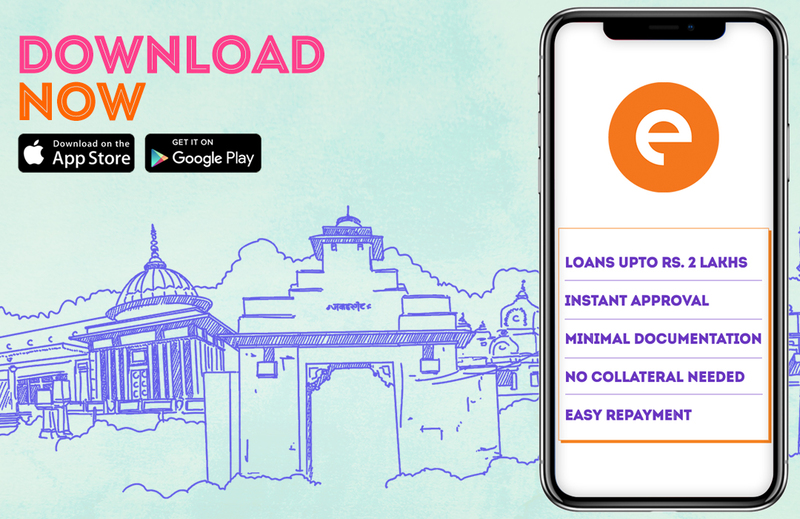 To apply for a personal loan in Ghaziabad, download cash loan app like CASHe on your smart phone. Start by registering yourself via your social media logins. Enter your basic details and complete your profile. The app will then ask you to enter the loan amount and the duration. Your loan amount eligibility will depend on your income. The loan amount usually ranges from ₹10,000 to ₹1 to 2 lakhs. The duration can 15, 30, 60 or 90 days. The app will then ask you to upload the required documents from your smart phone itself. You have to submit your identity, address and income proof. The valid documents for a personal loan in Ghaziabad incudes pan card, aadhar card, passport, driver’s license, utility bills, rental agreement, salary slips and bank statement. Once you upload the documents and submit, the app will then review your request. When the loan is approved, the loan amount is disbursed in your personal savings account within few minutes. Almost everyone is eligible to take a personal loan online. You have to be between 23 to 58 years old and a resident of India. You have to be a salaried professional or a business owner with your business being in existence since 3 years. Once the due date arrives you can repay the amount via bank transfer or cheque deposit.